Heroin is generally thought of as a drug of the younger generation. In Sydney, however, statistics show that the only age group with an increasing heroin overdose mortality rate is between the ages of 40-54 years old. It is estimated that a 3rd of all heroin users in Sydney are middle aged, and overdose deaths are highest in the late 30s. Heroin is a highly addictive and very dangerous drug, and while some people may manage to function normally while suffering from heroin addiction, they are by far the minority. Heroin addiction most frequently causes an addict to spiral into a life of stealing, lying and often homelessness that are a result of the need to use the drug at any cost. If you or someone you love is suffering from heroin addiction, it is of the utmost importance to contact a medical professional. 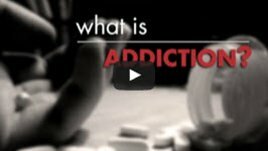 Heroin addiction is one of the most fatal drug addictions out there, and the sooner an addict gets help, the better their chances of making a full recovery. At The Cabin Sydney we offer an initial assessment to help get you started on the path to addiction recovery. Why do addicts from Sydney seek help at The Cabin? The Cabin Sydney is a highly reputable addiction treatment programme, based in the heart of the city centre. We offer flexible treatment programmes that allow our clients to book their sessions around their work or private life schedules. We have the utmost respect for our clients’ need for discretion about their heroin addiction and treatment, and thus keep strict confidentiality in high regard. The Cabin Addiction Services Group offers high quality heroin addiction treatment across the globe. Our unique and successful treatment programme combines a method known as the Recovery Zones, with a modern version of the world renowned 12 Steps programme started by Alcoholics Anonymous. Treatment includes group counselling, one-on-one therapy sessions, mindfulness practices and more. And while outpatient heroin addiction treatment works for many, some clients will need a more intensive, 24-hour care programme. If this is the case, we offer a fast-track service to our residential rehab centre, The Cabin Chiang Mai. 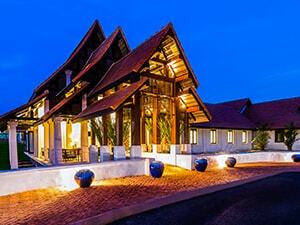 The Cabin Chiang Mai in an internationally accredited rehabilitation centre located in Northern Thailand. Frequented by many Australians and other international clients due to its high standards and affordable treatment, the facility is found nestled amid beautiful subtropical mountains and offers a relaxing and healing environment in which to begin your recovery. Our programme combines Western medicine with Eastern healing practices to create an entire mind, body and soul recovery. Contact us today about heroin addiction treatment to have a no obligation assessment and see how we can help you. Fill out the short form on the top right of this page, or call us directly on +61 2 9326 2867, to start your journey to recovery now.